Custom Zebra Pens and Promotional Zebra Pens with your Logo! 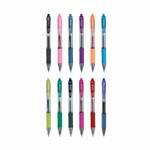 Custom Zebra Pens - a great brand name promotional pen with your logo. 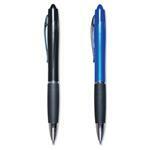 Zebra Pens are a retail brand name quality pen that can now be done with your promotional logo. Zebra ink cartridges and construction are second to none. Our custom Zebra Pens come in a large variety of styles and price points including awareness pens and specialty writing instruments. If you do not see the custom Zebra pen, please call us at 888-332-ADCO as we have many styles to choose from.